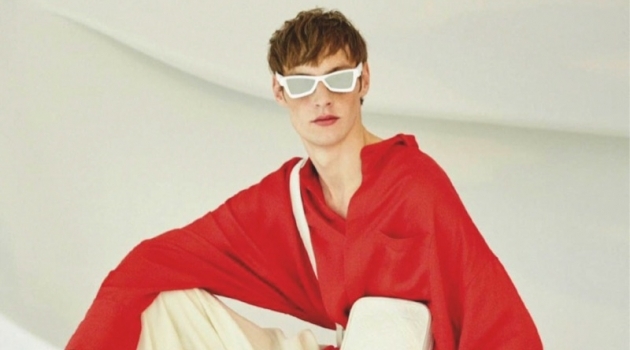 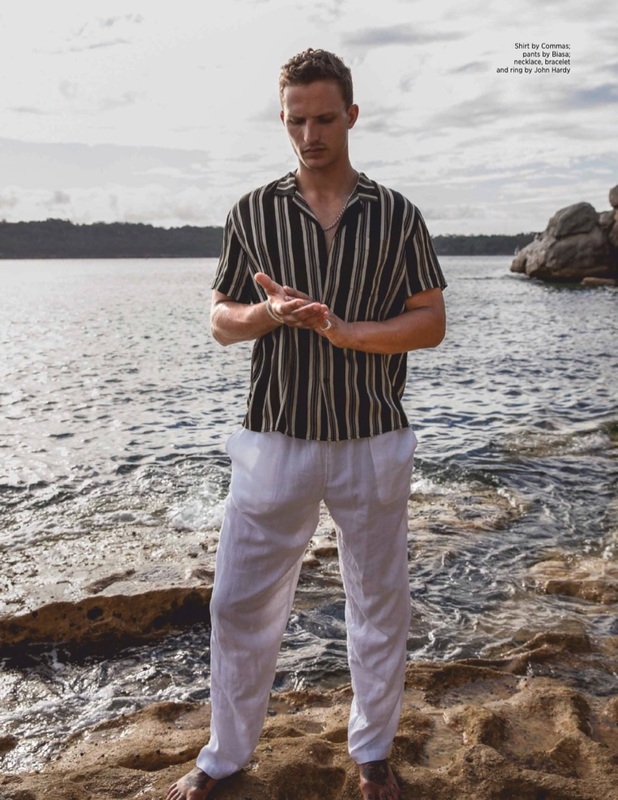 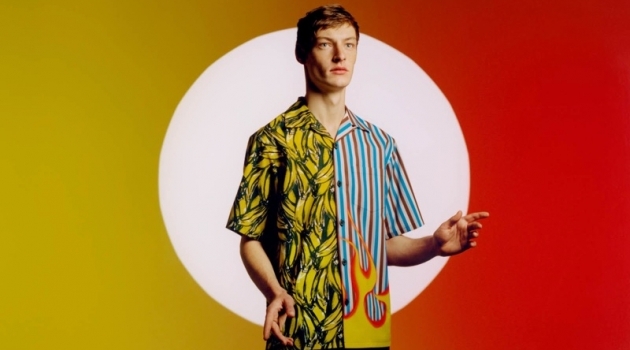 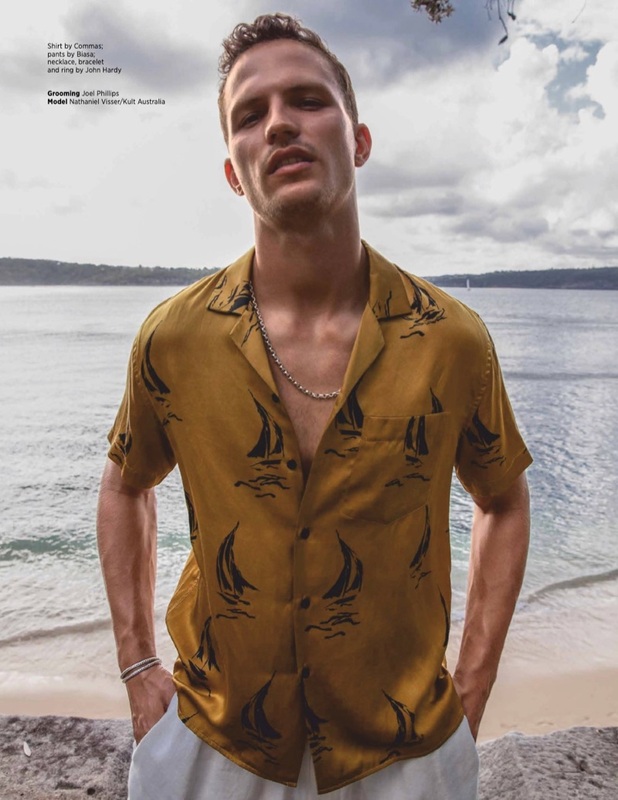 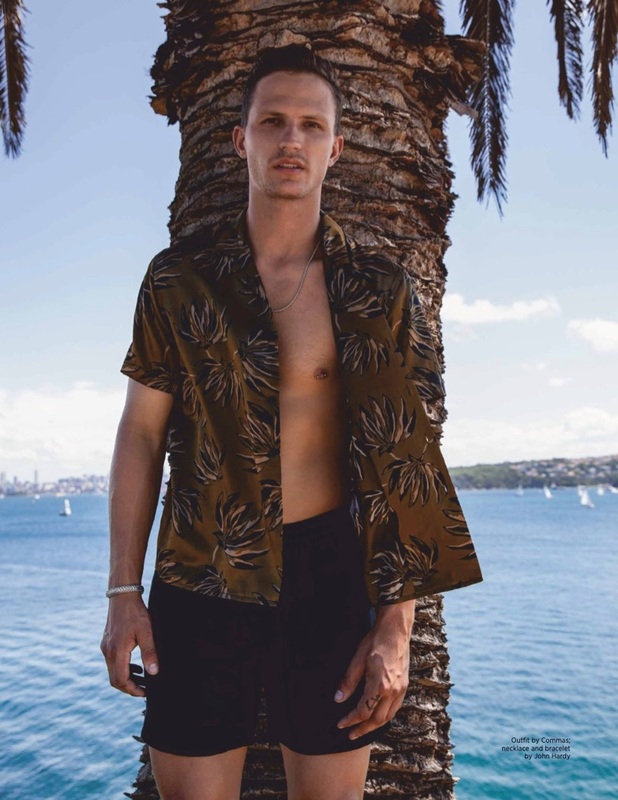 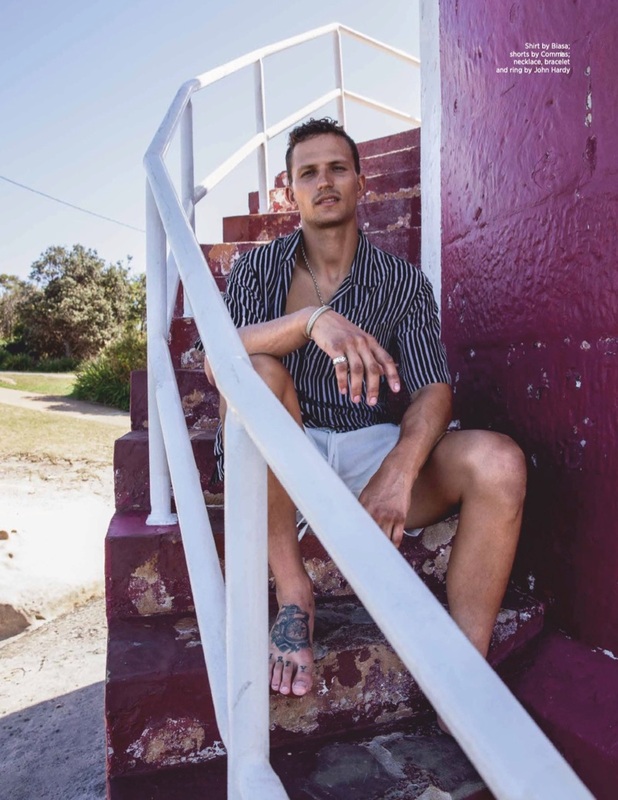 Nathaniel Visser takes to the beach for the April/May 2019 issue of Da Man . 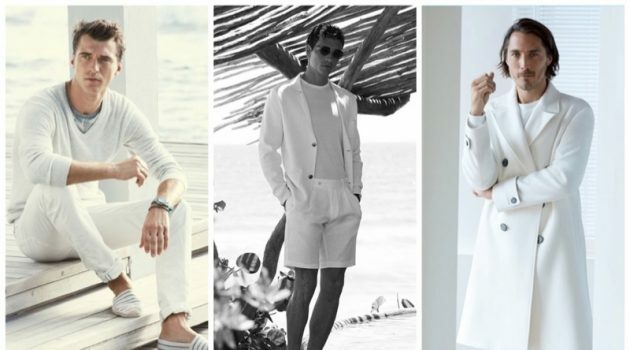 Tapping into casual style, Nathaniel sports fashions, which are fit for summer. 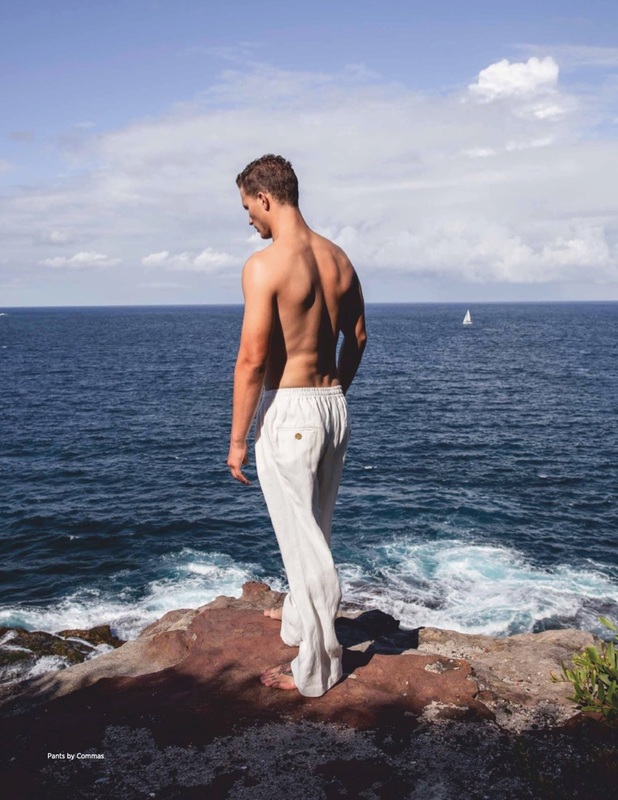 Brad Homes outfits the Aussie in swim shorts, lightweight shirts, and drawstring pants. 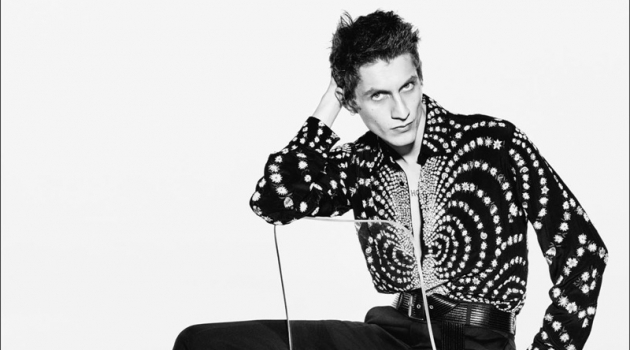 Wearing brands like Commas with John Hardy accessories, Nathaniel is photographed by Ronald Liem.